Faraday Future wasn’t keen on discussing price at the FF 91 unveiling on Tuesday night, but now it seems as though we have a ballpark figure to work with via hints from the automaker. To reserve a FF 91 “Alliance Edition” it’s just $5,000, but sometime before that car enters production, you should be ready to pony up perhaps $200,000 more to secure your order. Teslarati reached out to Faraday at the unveiling event and though the automaker initially didn’t seem willing to discuss price, once the Tesla P100DL was mention, the Faraday representative responded. For reference, a fully loaded Tesla Model X P100DL checks in at more than $168,000. If Faraday intends to beat that price, then it would need a similarly equipped FF 91 to be cheaper. However, Faraday looks to initially launch only fully loaded FF 91s (sort of like Tesla has done with the Model S and X founder vehicles). These loaded versions are expected to be upwards of $200,000. Then, sometime later a ~$150,000 base version of the FF 91 is expected to arrive in order to fulfill Faraday’s ‘better value than a P100DL’ story. Further down the line is the Faraday Future Project 81, which will be a cheaper vehicle designed to appeal to a larger audience. But cheaper only means in Model S and X territory, not in the Model 3s ballpark. Of course, none of these vehicles exist in production-ready form and there’s no factory to build them in at this point in time, but that hasn’t stopped Faraday from announcing it goals/plans/dream etc. Still, at the moment, Tesla is the only player in this segment. Competition simply doesn’t exist right now. 26 Comments on "Faraday Future FF 91 Expected To Start At ~$150,000, Fully Loaded More Than $200,000"
If I would have the money and be in need of this sort of vehicle, I’d pick the Lucid Air over this everyday of the week and twice on sunday. All respect to the tech folks at FF, but no thanks. The Lucid Air looks much more upscale and their pricing starts at $75k (100 kWh) – $100k (130 kWh). Seems like a much better value. The 1000+ HP for the FF demands the premium. I doubt Tesla stops at 100 KwH when competition (be it established players or startups) sometime in the next few years exceeds that amount. Plus as battery chemistry slowly improves, more kWh will fit in the same physical space. That depends on multiple factors. If Tesla manages to bring 200 mile charging down to 10 minutes by then, they don’t really need 400 miles of range, for example. Or if the competing cars are much more expensive. I do think they will go above 100kWh, but only if they need to, not only because they can. one of the big drawbacks in the race for a bigger battery is that a bigger battery means a longer recharging time. i suspect that might be part of the reason why tesla has not been as enthusiastic about endlessly trying to ramp up battery capacity. instead, i think that they are properly more focused on reducing recharge time with the battery configurations that they already have. Yep, plus 100 is really cool. People like things in specific increments, and 100 is certainly a milestone. So both on a technical and aesthetic level it succeeds. But a bigger battery also means a much shorter fast-charge time. A 100kWh battery will charge to 80kWh in less than half the time as filling an 80kWh battery to 80kWh. an 80kWh charge still takes longer than does a 64kWh charge. so if you increase the size of the battery by 30%, you increase the amount of time that it takes to complete the bulk charge stage of the recharge cycle by 30%. so if you were spending over 30 minutes to get an 80% recharge of a 100kWh battery, it would take nearly 45 minutes to get an 80% recharge of a 130kWh battery. an EV enthusiast probably wouldn’t care about this, but if you are a person in the general public who is going to compare these times to a 5 minute refill time for a gasoline tank, they probably will care. this is why i stated that tesla is probably more concerned with increasing the output power of the charger stations at this time. I guess we will see what demand they get if they are actually able to produce it. I do not see it as much of a direct competitor to Tesla since it seems as if Faraday Future is targeting this towards a higher level of luxury. FF91 has no appeling design like Lucid Air or Tesla S.
first of all, the figures presented in this article seem more like speculation, and if “teslarati” is the source, i would be highly skeptical of validity of these speculations. secondly, the market for $100+ BEVs seems to be a rather small one (although i don’t know how many $100,000 tesla model S cars get sold), so i have got to wonder how viable the strategy of faraday future is. i get that faraday might want to differentiate itself from tesla by offering a higher level of luxury, but still, i’ve got to believe that there is a limit to the number of people who are looking for another $100,000 “toy” since many of them are already buying tesla cars, and they are already getting luxury from owning mercedes-benz s-class, bmw 7 series, bentleys, and so forth. 200K seems reasonable for a hand-made car which will be built in an office space, I guess. $150.000 and more for something that looks like a minivan? Good luck with that. Faraday Future FF 91 think Fisker Karma. 64,000 reservations all smoke n mirrors! 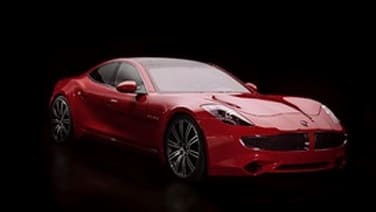 Hmmm, no, the Fisker Karma has been resurrected as the Karma Revero. Unlike anything which will ever come from FF, that is a car which is actually being produced, and some are actually buying. That’s more than my house, hope it sleeps 5 comfortably. It’s Tesla’s strategy v2. Not surprising as it’s the obvious route for an upstart automaker with no capital. They’re going to need at least 1 full on completed, FUNCTIONING prototype to woo the real money. This game they’re playing with the free reservations to puff themselves up. ain’t gonna fool savvy investors! That is “expected” by just who, exactly? What very nearly every person who’s informed on this subject would actually expect is for FF to go bankrupt years before they ever get close to putting any car into production. Betting this will never come to market. Not even the first 500. Too much BS. I predict crash and burn.